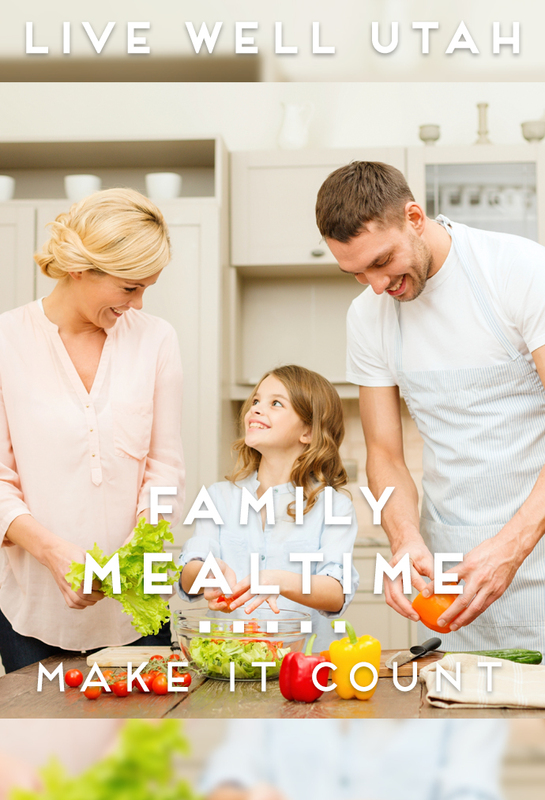 Make the most of family mealtime! With the average husband and wife both having to work full-time, or a single mother or father juggling the children and work, sitting down to have dinner together is probably one of the most difficult but important things a family can do. Sitting down together at the family table and talking to each other about the events of the day without interruptions from the TV or other electronic devices has proven to be very beneficial. Families should ensure spending time together is built into their weekly schedule. And since we all have to eat, why not make it a point for family time to be spent sharing a meal together? • Encourages better nutrition. According to the FDA, Americans now consume about one-third of their total calories on foods prepared outside the home. The Center for Disease Control has linked obesity to the propensity of Americans to eat in restaurants where portions are large. Home cooking allows a family to select healthy ingredients, tailor meals to suit its own particular nutritional needs and tastes, serve portions appropriate to age and activity level and monitor methods of preparation. • Saves money. According to the National Restaurant Association, Americans spend 45 percent of their food budget dining out. A family that eats most meals cooked at home saves substantial food dollars. • Promotes long-term health care savings. Consistently eating high-calorie, high-fat foods can lead to obesity and heart disease, among other chronic issues. Eating healthier, home-cooked meals and adopting a healthier lifestyle will leave a person less likely to develop these health conditions. This practice will save money in the future on costs related to health care and prescriptions. • Builds life skills. Manners and etiquette help build character and self-esteem, and help build a positive environment. Eating together provides the opportunity to test drive etiquette and manners. Family mealtime is a perfect occasion for everyone in the family to learn how to set the table, prepare food and clean the dishes. Parents are able to role model healthy eating habits and table manners during family meals. • Strengthens communication skills. The number one source of conflict in a family is lack of or mis-communication. Conversations during the meal provide opportunities for the family to bond, plan, connect, and learn from one another. In a series of focus groups conducted with low-income program participants by the Nutrition Education Network of Washington, participants said they believed that the primary benefit to eating together was strengthening relationships by providing opportunities for communication. Other studies report similar perceptions on the part of parents. Other things happen during mealtimes as well, including: socialization of children; establishment of family unity, safety, and security for children; and increased literacy and language development. Data suggests that eating dinner as a family can provide positive life-improving benefits. These benefits for children, especially adolescents, have been shown to cross racial, ethnic, and socioeconomic lines, but some glaring distinctions exist between families who share meals and those who don’t. Campbell, C. Bond with your Family: Eat Together. http://powertochange.com/family/bonddinner/. Hand, B. The Benefits of Eating Together, The Family Who Eats Together Stays Together. Retrieved April 10, from http://www.sparkpeople.com/resource/nutrition_articles.asp?id=439. This article was written by Paula Scott, Utah EFNEP State Director, Heidi LeBlanc, Food $ense State Director and Debra Christofferson, Utah Food $ense Assist. Director.